China’s regulators approved the entry of S&P Global Inc. into the country’s credit rating market as part of China’s national push to open its financial sector. China’s central bank approved the registration of S&P Global’s Beijing-based wholly owned unit, the People’s Bank of China (PBOC) said Monday in a statement. 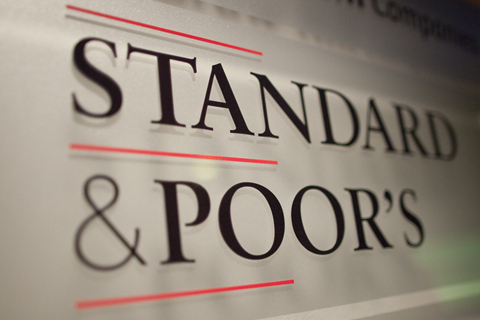 The clearance makes S&P the first foreign-owned company allowed to conduct credit rating business on the mainland. Moody’s Investor Service and Fitch Ratings have also applied. “The introduction of global rating agencies is (aimed at) meeting the diversified asset allocation demands of international investors on yuan-denominated assets,” the PBOC said, adding that the move would also improve the rating quality of the bond industry. China’s credit rating industry has long been criticized for providing favorable scores for local issuers and downplaying risks. Last year there was a rash of corporate bond defaults, including some by issuers that had been awarded relatively high ratings by domestic rating companies. Some domestic rating firms have also been found to have conflicts of interest while providing expensive consulting services to the companies whose credit they rated. The entry of S&P and possible other global rating companies into China is widely expected to help to force domestic rating companies to strengthen compliance awareness and enhance industry credibility. However, some industry experts questioned whether their arrival will really raise the bar, citing plans by S&P and Fitch to create customized rating systems for China. On the same day as the PBOC approval, the National Association of Financial Market Institutional Investors (NAFMII), a central bank-backed body that oversees the interbank market, said it accepted the registration of S&P Ratings (China) Co. Ltd. to conduct bond-rating business in the inter-bank bond market. 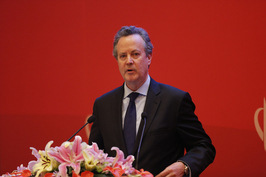 “We believe that we are best equipped to provide an independent opinion on China's debt markets as they develop, and we are ready to play our part,” S&P Global president John Berisford said in a statement. In July 2017, the PBOC published rules allowing foreign rating companies to conduct bond rating in the inter-bank bond market. Last March NAFMII started to accept applications for registration of foreign rating companies. 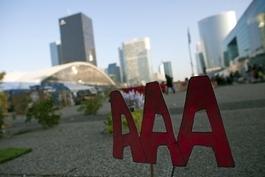 The world’s top three credit-rating firms — Moody’s, Fitch and S&P — have long coveted China’s bond-rating business. A Fitch spokesperson confirmed that Fitch (China) Bohua Credit Ratings Ltd. has filed an application with NAFMII and the central bank for a license to rate onshore bonds in China’s interbank bond market. “We will communicate closely with the regulators about the status of the application,” the spokesperson said. Moody’s could not be reached for comment. After reviewing all applicants’ materials, NAFMII’s professional committee made its decision to grant approval to S&P based on a comprehensive score, according to Zhang Yan, chairman of Bank of China Investment Management Co. and a member of NAFMII’s evaluation committee. The central bank said it would continue to push the opening up of the credit rating industry for additional qualified foreign ratings companies, but it didn’t cite any specific enterprises or give a timetable for additional approvals. Last August, the China Securities Regulatory Commission (CSRC) banned Dagong Global Credit Rating Co. Ltd. from taking on new securities rating business for a year for conflicts-of-interest violations. The suspension was the harshest punishment levied by regulators against a major intermediary agency. Fitch (China) Bohua said in its registration document that it will tailor a rating system for China, and so did S&P. “Considering the size, dimensions and extent of diversification of China’s domestic capital market, there needs to be a set of special rating standards and rating methodology that fit the local situation,” S&P said in its registration document with the NAFMII. Those moves have raised concerns that ratings of Chinese corporate bonds by these global giants might not be reliable. “If foreign rating companies take this approach, what is the difference from setting up another new domestic rating company?” an executive at a Chinese rating company told Caixin.